I had another blog post lined up for this week, but after the upsetting events involving David Pajo last Thursday/Friday, I felt that I had to write something by way of a tribute. If you're not aware of the story then you'll find it on most US music news sites, I won't go into the details here. Having discussed this on other social media platforms, the consensus was that it is not our place to speculate on Pajo's emotional state, other than to wish him a speedy recovery. I will just say that it's an indicator of the power of social media that so many people leapt into action and prevented a sad story from becoming a tragic one. Pajo has been inspirational for a generation of guitarists who didn't want to be constrained by conventional chord structures. In recent years, he has performed solo under a variety of names and also in bands including Tortoise and Billy Corgan's post-Smashing Pumpkins project, Zwan. But the high respect bestowed upon him really stems from this 1991 album by his original band, Slint. Their first album, "Tweez", was produced by Steve Albini and although there is certainly some experimentation going on, overall it sounds more like an Albini project. Slint would have been consigned to the "other US indie" record fair crates were it not for the radical change of style that occurred on their second record. 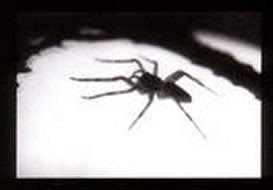 Having said that, "Spiderland" was largely ignored on its release and it wasn't until five years later, when a handful of up-and-coming bands started to cite it as a reference point, that the rest of the world began to take notice. Despite my previous post on music genres, it's inevitable that we'll get onto that topic when discussing Slint - partly because the album itself is so hard to categorise, but also because it has spawned a host of meaningless genre names invented by journalists with nothing better to do. In the late 1990s, the latest wave of experimental bands were being tagged as "post-rock" or "math-rock". Are these just the UK and US names for the same style of music? I've never been sure what math-rock actually is. Regardless of the classification, the influence of Slint was apparent. It would have been easy for Slint to become part of the grunge movement that was developing at the same time but, while keeping much of the distorted guitar sound, they rejected the lazy delivery style of Mudhoney and their ilk, and produced something far more elaborate. In places their use of unpredictable time signatures would be better described as prog, but back in 1991 no one would dare admit that they knew the meaning of that word. Slint's lyrics are also far removed from the anger and apathy found on other records of the time. Again harking back to classic UK bands of the early '70s, each song is a work of fiction. But the stories are incomplete and you are left to fill in the gaps for yourself. It's likely that your conclusions will be bleaker than the band originally intended. Brian McMahan's vocal delivery shows emotional detachment and is very matter-of-fact despite the grim nature of the subject matter. This only adds to the mystery. At times the words are almost whispered and are drowned out by the tortured sounds from Pajo's guitars so this is a record that really needs to be heard through headphones. The complex nature of the album means it would be difficult for you to get an idea of the sound simply from me attempting to describe it to you, so it might be easier if I let you listen. As there are only six tracks on the album, let's look at each one in turn. We kick off with a trip to the funfair and a visit to the fortune teller on "Breadcrumb Trail". The opening chimes sound pretty but don't be fooled; the next 40 minutes will be anything but comfortable. Rather than getting his fortune told, the narrator persuades the fortune teller to accompany him on the roller coaster. The sudden transition in the guitar sound and vocal delivery suggests it's a terrifying ride. But things calm down after the ride is over and you're left hoping that the two characters will meet up again once the funfair has closed. "Nosferatu Man" is obviously inspired by the 1920s horror film. The lyrics are (I suspect intentionally) disjointed and difficult to follow. Rather than being a literal description of the film, the words seem to represent the desolation that seeps through the rest of the album. The dissonant guitar sound in the "chorus" (if you can call it that) adds to the feeling of uneasiness. "Don, Aman" describes a character who feels alienation even in the company of friends - "Like swimming underwater in the darkness, like walking through an empty house, speaking to an imaginary audience." The distortion in the middle section emphasises this feeling of isolation before the final verse tells us that "he knew what he had to do." Hopefully what Don actually has in mind is not as gruesome as we are imagining. "For Dinner..." is an instrumental track, which could be overlooked at first but it builds the tension in preparation for the album's standout song. "Good Morning, Captain" has the sparsest arrangement on the album. The main guitar part consists of just two chords and never appears at same time as the vocals. This is the song whose lyrics I've spent the most time contemplating. They tell of the aftermath of a shipwreck and the captain of the title is apparently based on the Ancient Mariner, although I must confess I have never read Coleridge's poem in its entirety. Halfway through the song, a child appears; I have always assumed that he is being reunited with his estranged father. It's not clear who utters the words "I'm trying to find my way home. I'm sorry. I miss you." I had originally thought it was the child, but listening to the song now it seems more likely that it's the captain, apologising for being away at sea for so long. Perhaps all would be clear if I were more familiar with the original poem. What's most puzzling is the barely audible line, "I want the police to be notified." I think I would prefer not to know what had happened in the past to prompt this. What follows is the most terrifying section of the entire album, with McMahan screaming so loudly that he allegedly made himself sick. It's a relief when the screams are eventually buried beneath the squall of Pajo's guitar. Like the characters in the songs, you will feel alienated and detached from this album after the first listen. It takes time to become fully acquainted with these songs but your patience will be rewarded. 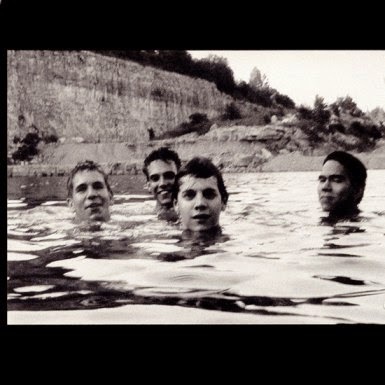 More than 20 years on, "Spiderland" continues to be relevant and is deserving of its reputation as one of the most influential records of its time.